I have seen stained glass cookies before, but have never made them with my kids. I am pretty sure, since it involves a hammer, I could even get the boy involved in this one. 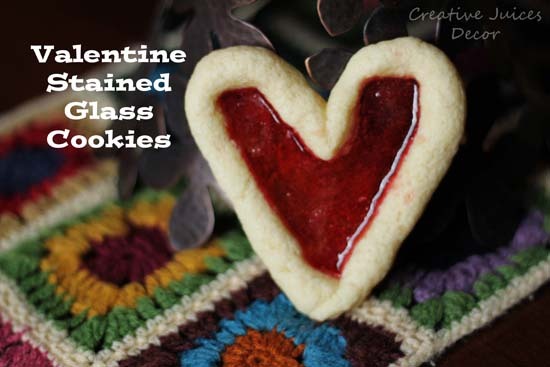 Even if the result is a stained glass Valentine cookie. You can check out how to make stained glass heart cookies over at Creative Juices Decor. Those are so cute, thanks for sharing!